I recently returned from my bi-annual pilgrimage to the French Riviera that was aflutter with chatter about the now-famous ‘Billion Dollar Listing’. During this trip I learned some rather interesting tid-bits that I thought I’d share. The entire Cote D’Azur is still reeling from the aftermath of the tragic Nice terrorist attack: heavily armed soldiers are seen patrolling everywhere, including the Promenade des Anglais, the airports, major tourist attractions and even the dockside of St. Tropez. High security is the order of the day, and one can almost sense people’s wariness as they keep their eyes open and have become much more aware of their surroundings. Tourism is expected to drop anywhere from 5-10% for the year. It’s a bit of a downer, I have to say, in an area known for living well. 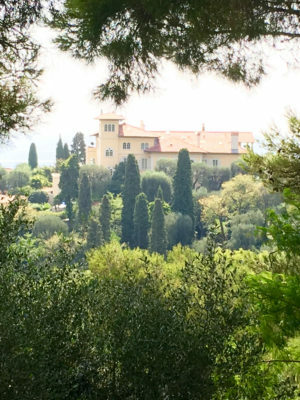 There was lots of chatter about the infamous ‘BILLION DOLLAR LISTING’, the 35-acre estate Les Cedres located on Saint-Jean-Cap-Ferrat. Supposedly listed for $1,1 billion, I heard rumors that an offer was being negotiated around $ 300-400 million. Certainly not chump-change, but then again a 70% discount off the asking price, ridiculous as it may be. It certainly did the trick in getting world press: sensationalist, ‘enhanced’ headlines are not the exclusive domain of the USA as the entire world becomes Kartrashianized. Real Estate pricing has taken a turn in most areas with negotiations anywhere between 10-25% off asking prices. Most high end property asking prices are not quoted openly to avoid the tax officials knocking on the door for more revenues. There are certain classifications of super-high-end real estate $40m+, especially in Saint-Jean-Cap-Ferrat that are under-served and are experiencing inventory shortages. Waterfront properties of an A-grade quality and scale are virtually impossible to find. Building a home is super-tough with highly restrictive governmental oversight and red tape, not to mention slow contractors and ‘Summer rules’ in areas. Russian buyers have virtually disappeared. Buyers from BRIC countries reliant on lottery-level oil prices are almost extinct. The Euro’s weakness is a new draw though. The rich always figure out how to avoid taxes: a wealth tax applied to the equity you have on your home is circumvented by many simply by taking out a large mortgage. Monaco, the tiny (499 acres) principality and equivalent of a tax-free suburb of France, is a place that ceaselessly amazes me in its ability to expand and evolve. Monaco has just started work on a $2.2 billion project to re-claim approximately 15 acres (almost 3% of the entire country) from the sea to build more luxury housing for some of the planet’s wealthiest tax-free residents. The foundations alone will take around 40 months to complete and involve dredging up and transporting hundreds of thousands of tons of sand from Sicily to create dry land. Monaco views square footage in square inches and micro-manages each one just the way you would a fine yacht: In the Central Square of Monte Carlo in front of the infamous casino, sandwiched between the two Allees des Boullingrins what was once open parkland, is now dense underground parking and a modernist walking mall called Monte Carlo Pavilions filled with the essential high-end boutiques such as Chanel, Balenciaga, Yves Saint Laurent, Louis Vuitton, etc. Noteworthy is that the most expensive condominium in Monte Carlo (Tour Odeon) has an affordable housing component….with a separate entrance! While 4,000 miles away, the similarities between Manhattan’s trends and those in the South of France are quite remarkably aligned. Shortage of land. Issues with affordable housing. Taxes scare the rich. Terrorism creates uncertainty. And crazy real estate asking prices generate headlines…..and big discounts. This entry was posted on Saturday, September 17th, 2016 at 11:33 am	and is filed under Uncategorized. You can follow any responses to this entry through the RSS 2.0 feed. You can skip to the end and leave a response. Pinging is currently not allowed.